A knock sensor is a device installed in your vehicle that senses the knocking of the engine. The term knocking is also referred to as pinging, spark knock, detonation or pinking. Typically, when the knock sensor of your vehicle goes bad it can affect the efficiency of the engine and the performance of the vehicle by not being able to manage the knocking effectively. The knock sensor of your vehicle can malfunction due to various reasons. Mostly the sensor can go bad as the vehicle ages and may require a replacement. As the time passes the wearing and tearing can occur on the sensor. It is also susceptible to corrosion and the functionality of the sensor can be affected. In other cases, it can go bad because of a physical damage or come in direct contact with the water. Sometimes it is only the electrical wires that are causing the problem, which may be damaged or broken. The knocking occurs in the spark ignition of the international combustion engines. It is caused when the spark plug flame ignition is not responsible for the combustion of the fuel in the cylinder, and the fuel mixed with air explodes outside the combustion front. In such a case, the knock sensor senses the knocking and generates a signal read from the detonation vibrations by creating a voltage and transmitted it to the computer system. The computer then evaluates the signal transmitted from the knock sensor to slow down the timing. The knock sensor is a sensitive piece of equipment that takes a lot of heat from the engine. Sensors are usually placed away from extreme heat but this is one of the unfortunate sensors that get a place close by. As such, over time this sensor can wear out and give in due to constant usage. Therefore, it is advisable to know of the common signs of knock sensor failure. The PCM uses the data sent by the knock sensor to alter ignition timing, which can directly affect acceleration. At times you will feel your car is unresponsive to the throttle, as the knock sensor is sending incorrect information to the PCM. Not only that but your car will also use a lot of fuel causing your fuel economy to deteriorate. Whenever you feel you have to fill in gas more frequently, it is time to visit the mechanic to get the knock sensor checked for failure. When a knock sensor is not working up to its standards, the PCM is not getting important data or getting incorrect data from the sensor. This results in the PCM adjusting the ignition timing incorrectly. The engine misfires and becomes to prone to hiccups. The engine might stall or have inconsistent combustion. When there is more fuel in the cylinder than usual and when the ignition timing is being altered constantly, the spark plugs in the cylinder are overworked, which results in their failure. If you are replacing spark plugs before their time, it could be an indication that the knock sensor has failed or is about to fail. 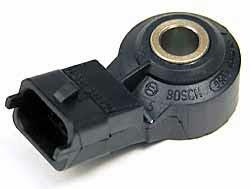 The knock sensor connector is exposed to pollutants like dust and debris in the engine bay. In some cars, you can have several knock sensors. To top it off, the sensor takes a lot of heat from the engine as well, so it is bound to fail sooner rather than later. 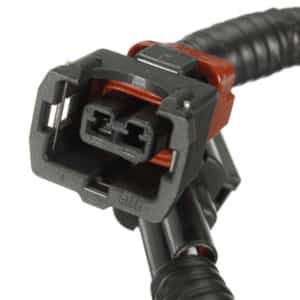 By checking for any corrosion inside the connector or at the sensor itself, you may not have to replace the sensor. However, you can extend the life of the sensor by taking extra care of it. Remember that if the sensor is failed internally, this method won’t help you. The knock sensor can be found inside the engine near the cylinders or the intake manifold, which means it will not be very easy to find. You would probably have to take off the top part of the engine, also called the head, and proceed to find the sensor. It would be better if you use the services of a mechanic for this but if you are interested you can look at YouTube videos to help you disassemble the engine. Once you have the sensor with you it is time to clean it. The sensor connector can be cleaned in two ways, either through the use of alcohol as a cleaning agent or through the use of a dedicated sensor cleaner. The cleaning part is easy but requires extra care. The sensor can either be placed in the plastic bag and rubbed with alcohol or cleaned with the cleaner. In both the cases, the result will pretty much be the same. Once you are one with the cleaning part, let the sensor dry for a good half an hour before replacing it inside the engine. Also, check for any damages to the wirings to the knock sensor. Place the sensor back in its prescribed place and proceed to put the engine back together. As soon as you are done with that, start the engine and listen for any audible noise coming from the engine other than the rumble of the motor itself. The knock sensor can be tested for failure using two ways. You can either use an error code scanner or use a voltmeter to test the sensor’s efficiency. Both ways have their own advantages and disadvantages. Starting off with the error code scanner, it is clear that the error code scanner is the easiest way to find out about any problem with the knock sensor. All you need is a cheap and working OBDII scanner which can read and display codes directly on its screen, preferably one with a pre-installed code dictionary. As soon as you will attach the scanner to the car, it will tell you the reason behind your car’s recent awkward behaviour. A voltmeter can come in handy but due to the knock sensor’s location, it is pretty much impossible to use a voltmeter to test the sensor’s efficiency. How to Repair/Replace the knock sensor? • Locate the knock sensor on your vehicle by going through the service manual. • Make sure that you have not mistaken the knock sensor with the temperature sensor. • Make sure you do not break the sensor while removing the tightly installed threaded screws. • Pull out the old sensor once it is unmounted. • Tighten back again to as much as 29 ft. lbs. • Reconnect the sensor back to the connectors. • Install the engine back to the vehicle if it was detached. How to diagnose a bad or failing Knock sensor? The diagnostic procedure for the bad knock sensor requires you to physically test the sensor with the help of an ohmmeter. Here is how you can test the knock sensor to see if it is bad. • If there is continuity the sensor needs a replacement. • If the resistance is not within the range, the sensor requires a replacement. The location of the knock sensor can be different depending on the vehicle that you have. However, for the most vehicle, there are some common spots that you can look into. For many vehicles, the knock sensor is located on the block on the front side behind the intake manifold. Usually, you can locate it either on the engine block, intake manifold or the cylinder head. 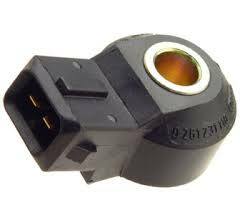 That is the most effective location for the knock sensor as it can effectively sense the required data in terms of the vibrations caused by the detonation and the knocking in the engine on these locations. In the engine block, it is usually located on the lower side. It is also easy to mistake it with the temperature sensor. Therefore, you need to be careful while locating it and you may refer to the service manual just to make sure that is provided by the manufacturing company. The average replacement cost of the knock sensor is between $135 and $460. The part itself cost between $85 and $110. Once the knock sensor gets bad, usually it is recommended to replace the part if everything else looks fine. The knock sensor itself is not a very expensive buy. On average for most vehicles, you can purchase it for $85 or for as much as $110. In exceptional cases, if you have a luxury vehicle or a special kind of vehicle the price may be higher than this. Nonetheless, the main cost associated with the replacement of the knock sensor is the labor. You may hire a mechanic or take your vehicle to a repair shop to get the knock sensor replaced after the diagnosis. Depending on who you are dealing with, the cost for the labor could be as little as $50 or as high as $350. So on average, the total cost for the replacement along with the labor charges that you are looking at is between $135 and $460. It is also recommended that once the signs start showing up you can get it replaced along with the normal routine visits for the tune-up of your cost and the mechanic may adjust the labor cost within the overall billing. That can also prevent you from paying too much.